1. Transactional Email - Emails sent containing information about a transaction or a process such as shipping notifications, purchase receipts and support tickets. According to Experian, the average revenue per transactional email is 2X - 5X higher than standard bulk email. 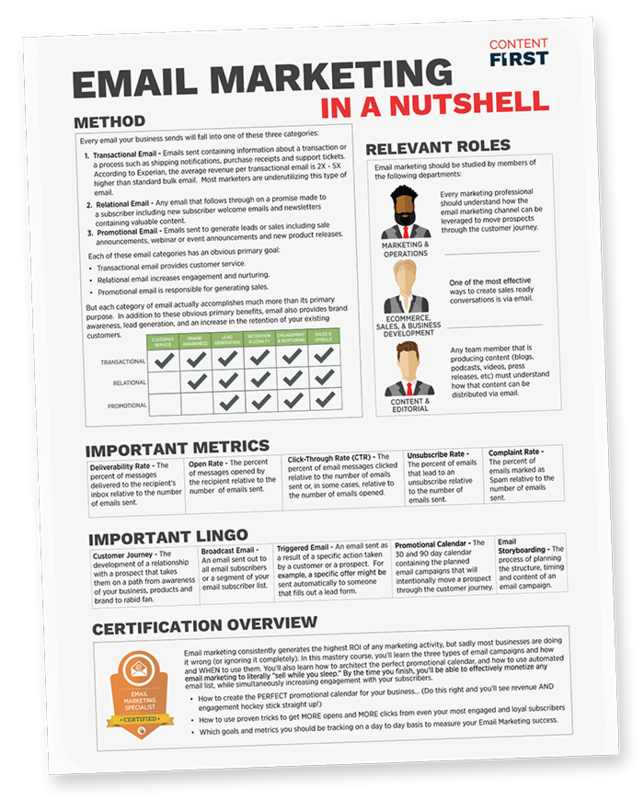 Most marketers are underutilizing this type of email. 2. Relational Email - Any email that follows through on a promise made to a subscriber including new subscriber welcome emails and newsletters containing valuable content. 3. Promotional Email - Emails sent to generate leads or sales including sale announcements, webinar or event announcements and new product releases.